SCVHistory.com US2701 | Lebec | Hotel Lebec, 1-18-1927. January 18, 1927 — Hotel Lebec. 4x5-inch BW negative, chemically damaged. 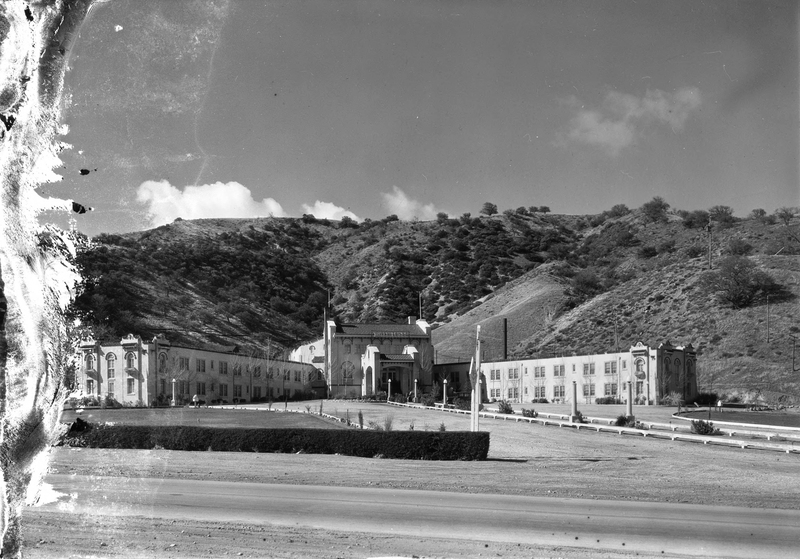 The last major structure in place during the highway's glory was the Lebec Hotel. Construction began Jan. 15, 1921, and it opened for business four months later, on May 21. The hotel was the brainchild of entrepreneur Thomas O'Brien, a saloon-keeper from Bakersfield. Financing for the opulent hotel was provided by Cliff Durant, an automobile manufacturer. 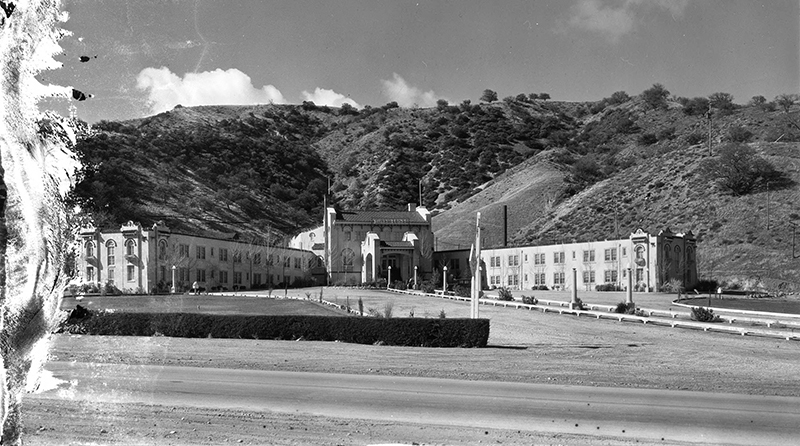 The Lebec hotel was a "complete gambling joint with a ball-room, rooms and apartments" during its heydays from 1925 to 1934. Clark Gable and his actress wife, Carole Lombard, as well as gangster Benny "Bugsy" Siegal, frequented the Lebec Hote1. A 1926 touring guide describes it: "Hotel Lebec is new and high class, 80 rooms, thoroughly modern single $2-$3, with bath $4, coffee shop open 24 hours. "The Lebec Garage nearby was the largest and best equipped on the ridge. Labor was $1.75 an hour, increasing to $2.40 after 6 p.m. Shortly after the hotel opened, Durant sold his interest to Foster Curry (son of the concessionaire at Yosemite) of San Francisco. Early postcards from this period show the hotel under its brief stint as "Curry's Lebec Lodge," once located along the west side of Lebec Road just north of the Lebec off-ramp. The hotel fell into disrepair and was officially closed on November 13, 1968, in response to health department charges concerning its substandard water system and dilapidated condition. The hotel went into receivership and was purchased by the Tejon Ranch Company. They torched the hotel and demolished the remains on April 27, 1971, only two weeks after acquiring the property. Two tall Italian Cypress trees mark the former location. US2701: 9600 dpi jpeg | California Historical Society collection at University of Southern California, Catalog No. CHS-36829 | Online image only.